Six-year-old Zoe York has been taken, and her mother comes to Remy for help. He thinks the cops would be a better choice-until the desperate woman shows Remy why she chose him out of all the private detectives in Massachusetts. There are drawings. Crude childlike drawings that show Zoe's visions of the future. Everything leading up to her abduction, and some beyond. Such as the picture of a man with wings who would come and save her-a man who is an angel. This is more than a mere kidnapping. Zoe's preternatural gifts have made her a target for those who wish to exploit her power for their own destructive ends. 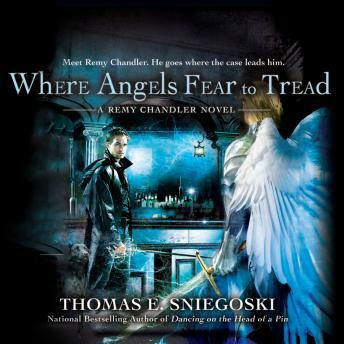 And the search takes Remy to dark places he would rather avoid. But to save an innocent, Remy will ally himself with a variety of lesser evils-and his soul may pay the price.